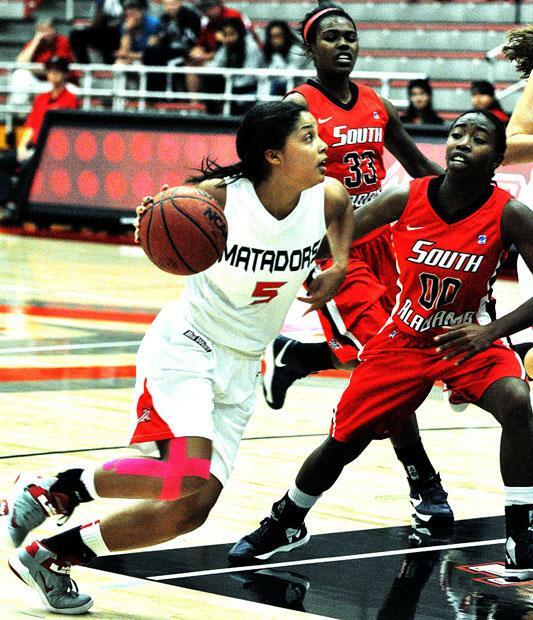 On a night when three Matadors put up career numbers, CSUN (3-2) fell to No. 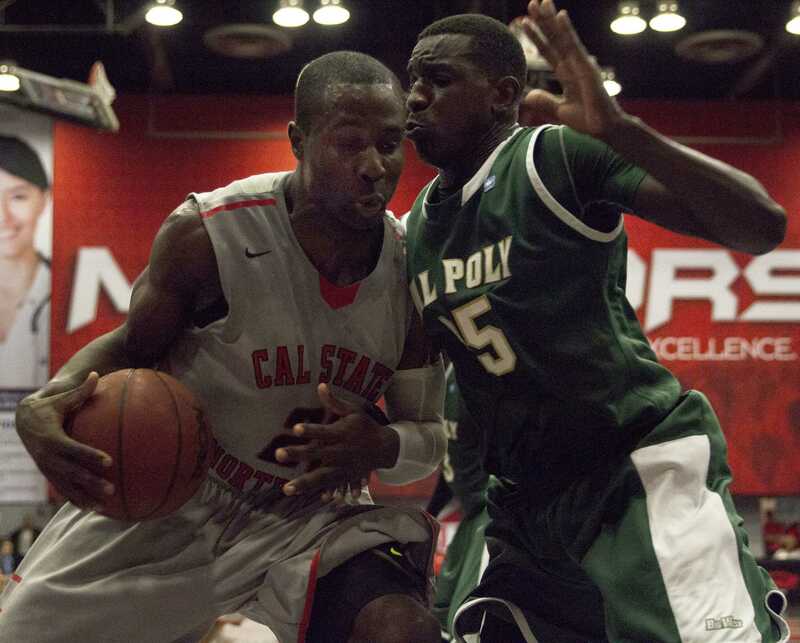 6 ranked Penn State (5-0) Saturday evening at home in the final round of the Radisson Hotel Chatsworth Thanksgiving Basketball Classic 2012 despite mounting an early 17 points lead. Freshman guard Marta Masoni, sophomore guard Ashlee Guay and sophomore center Camille Mahlknecht all had career bests in three separate categories, but the team couldn’t close out as they allowed the Lady Lions to finish the game on a 13-1 run to secure a 85-73 victory. Masoni went 7 of 18 from the field, nailing five out of her whopping 14 attempts from beyond the arc en route to career-high 22 points. 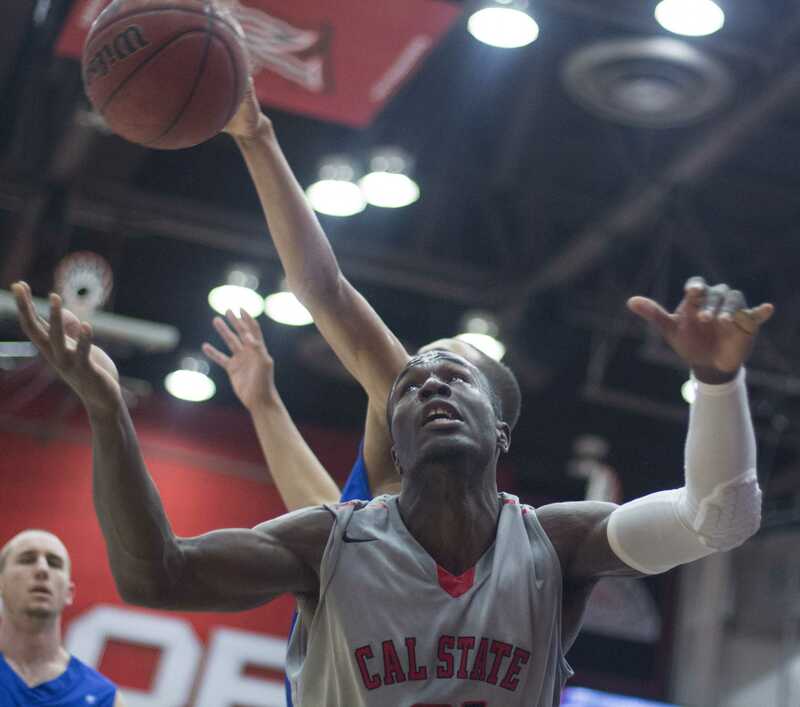 Guay, who set a personal best in the assists category by dishing out 12, completed a double-double by scoring 15 points on 6 of 15 shooting to go along with five rebounds and three steals on the night. Mahlknecht matched her career-high in rebounds, pulling down 13 to go along with eight points and two blocks. A bucket by senior forward Violet Alama – who finished with a season-high 11 points on 5 of 8 shooting to go along with four rebounds – gave Northridge a 33-16 lead with 5:52 left in the first half, but the Lady Lions responded with 9-0 run of their own to close out the first 20 minutes of action, cutting CSUN’s lead to just six. Penn State continued its scoring burst as it started the second half putting in eight straight to take the lead, extending its run to 17 straight unanswered points. 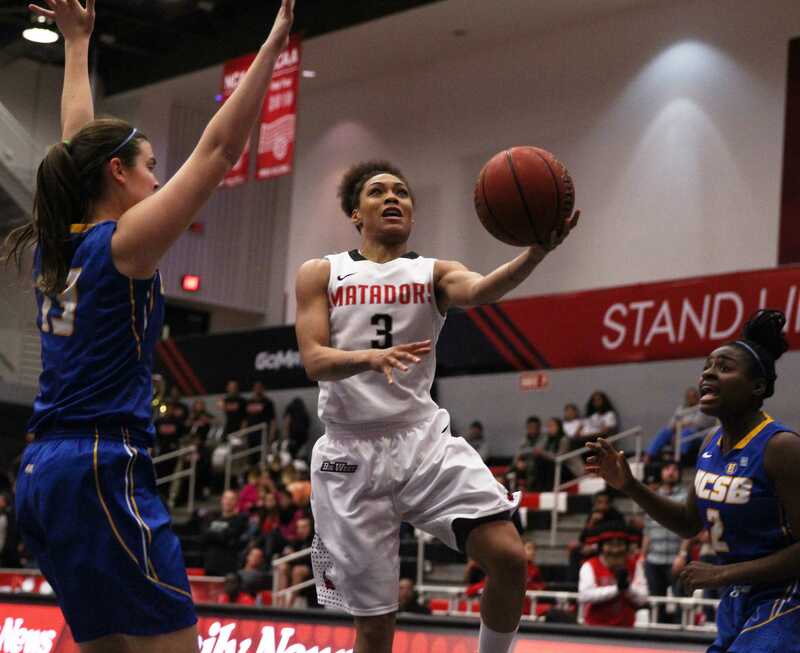 The Matadors maintained their poise, however, and stood toe to toe with the Lady Lions up until 3:28 left in the game, where a Guay layup would be the final field goal put in the basket by CSUN. 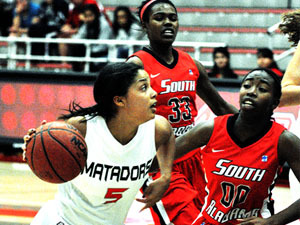 Despite Mahlknecht’s rebounding prowess, the Matadors were unable to control the glass, allowing the Lady Lions to pull down 16 offensive rebounds — 10 of them coming from opposing forward Nikki Greene who had a monster 21 point (13 of 14 from the charity stripe) and 20 rebound performance. 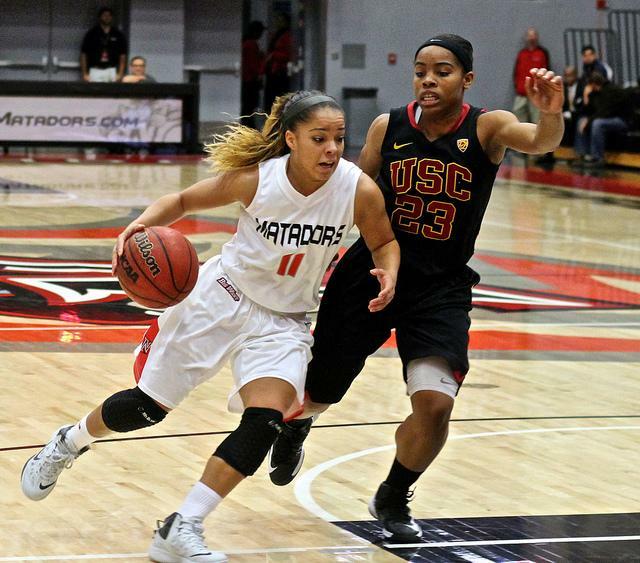 Northridge hits the road for its next two contests, playing Santa Clara on Nov. 26 and San Jose State on Dec. 1, before coming back home to face off against San Francisco.